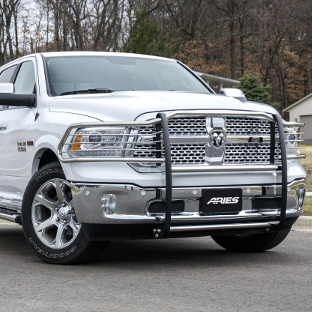 Customizing the look of your truck, Jeep or SUV and adding extra front-end protection is easy with an ARIES grille guard. 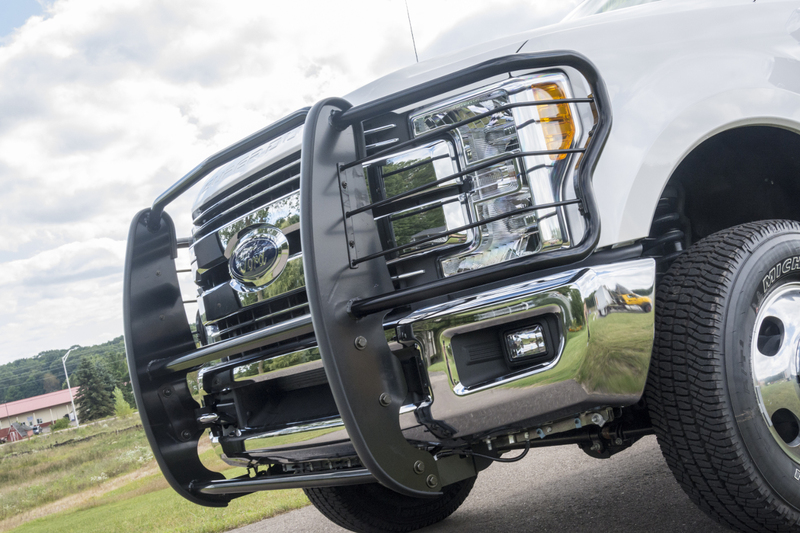 Each of these grille guards is designed for a specific vehicle application, contouring to the front end and integrating with the existing features like an original equipment accessory. 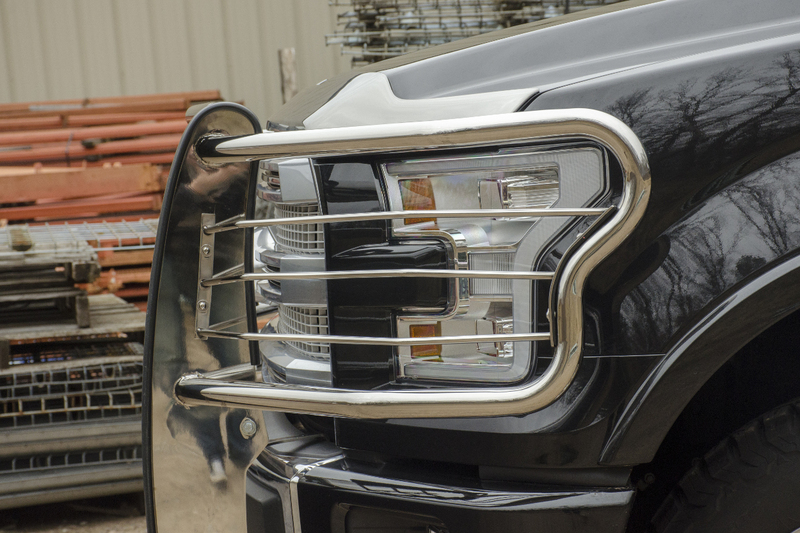 ARIES grille guards are built with a one-piece design for enhanced strength, and each installs with no drilling required. They come with LED light mounting holes and are available in two finish options. 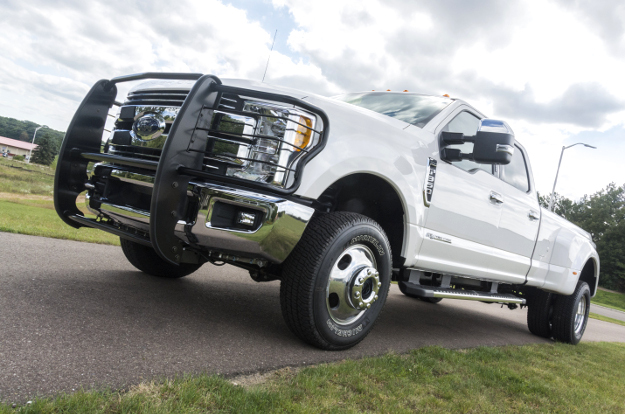 The mounting points, vertical risers and side brush guards of every ARIES grille guard are all customized to fit each unique truck, Jeep or SUV. We offer a wide variety of applications and two durable finish options. 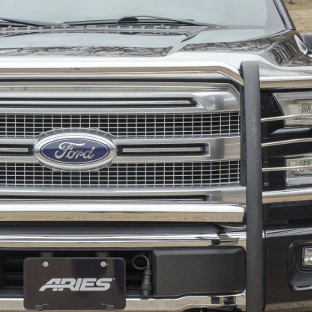 The ARIES Pro Series™ grille guard takes your truck or Jeep a step further, featuring a patented, integrated LED light bar housing. It also comes with an interchangeable cover plate for maximum customization. 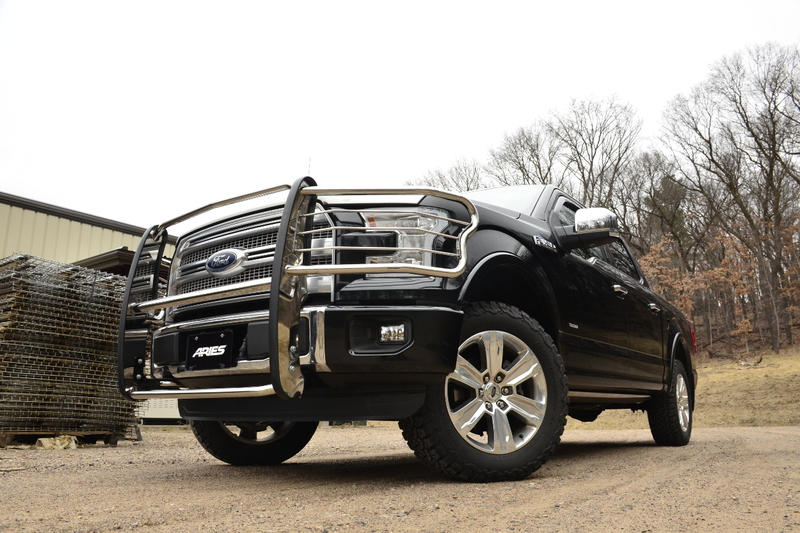 Each ARIES grille guard is constructed with a one-piece design. This means the vertical risers, center crossbars and side brush guards are all welded into a single piece for superior rigidity and vibration resistance. The brush guards are made from 1-1/2" diameter, heavy-wall, mandrel-bent tubes for a sleek look and added front-end protection. The risers are 1/4" thick plates that bolt directly to the vehicle's frame for enhanced strength. 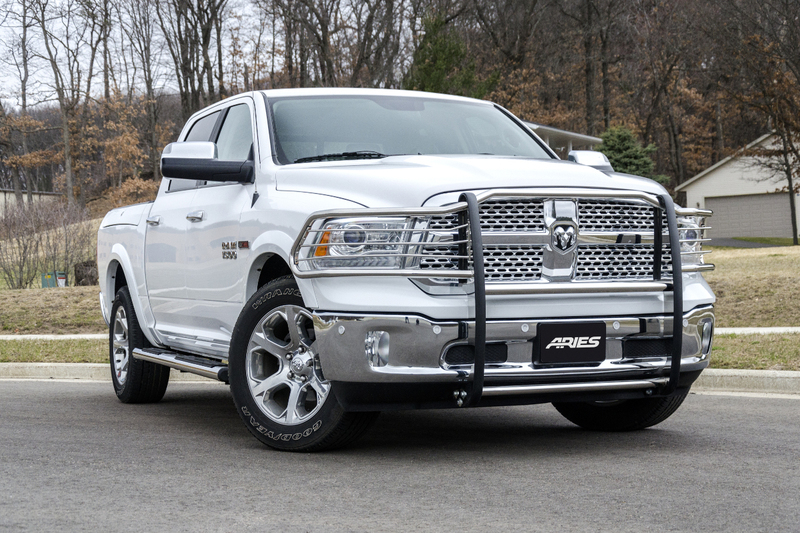 For ultimate customization on your truck, Jeep or SUV, the ARIES grille guard is offered in two material / finish options. 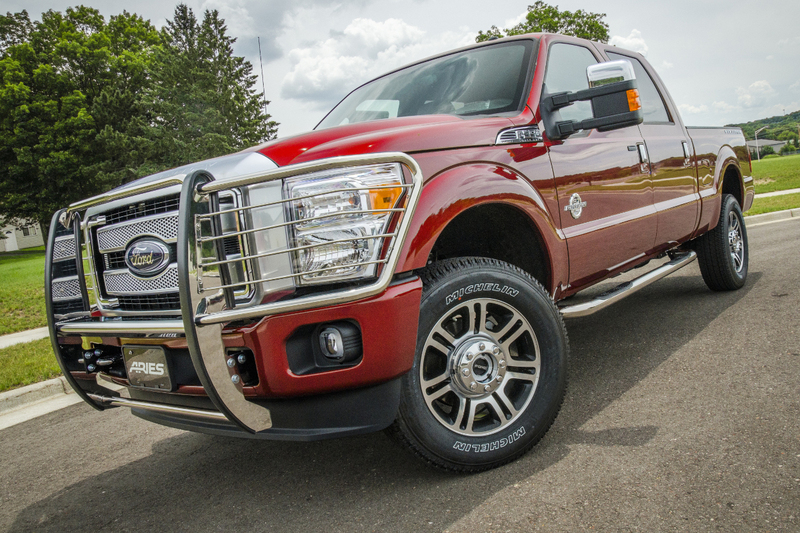 This ensures you can match and complement the existing style of your vehicle. 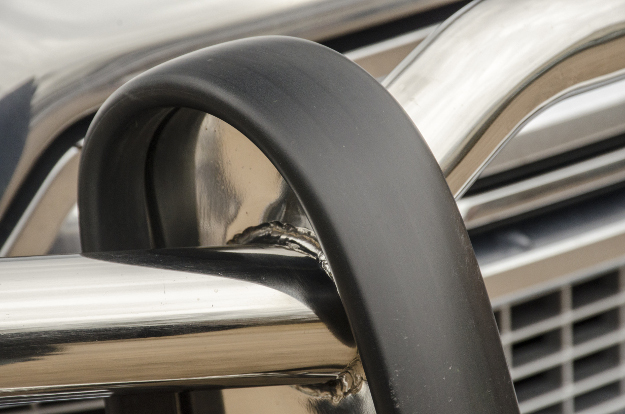 Our stainless steel grille guards are constructed from 304 stainless steel, a high-nickel option that provides excellent rust resistance. It comes with a mirror-like polished finished for bright shine, season after season. 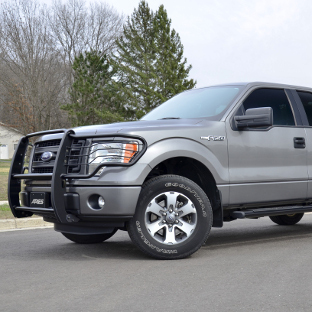 Our steel grille guards are made with high-strength carbon steel and are covered in a durable semi-gloss black powder coat finish. 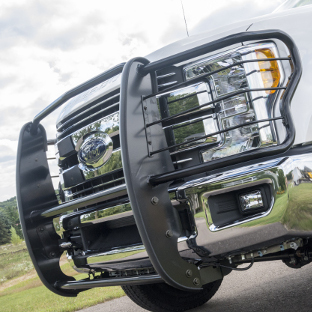 ARIES grille guards come with integrated light mounts to let you light up the jobsite or the trail. 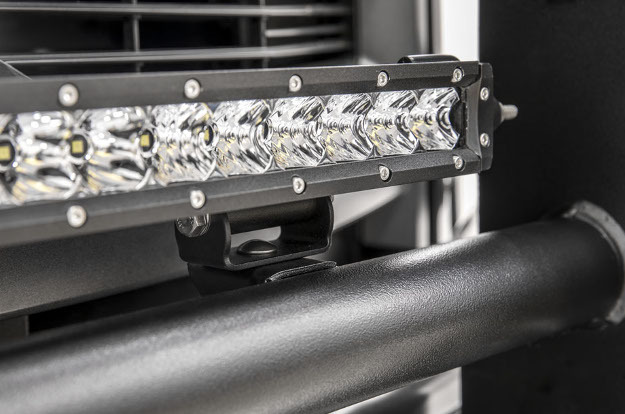 The crossbar is equipped with two pre-drilled holes to securely mount ARIES LED work lights or other aftermarket lights. 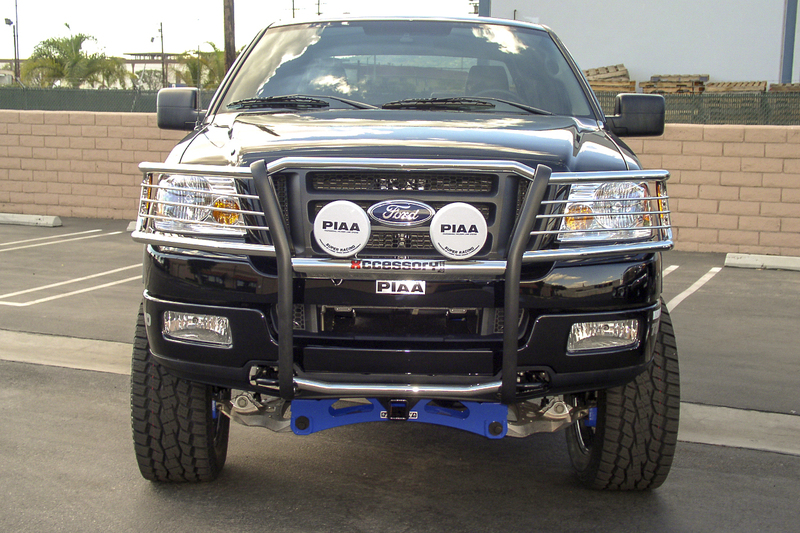 To mount an LED light bar, we also offer base-mount brackets. These brackets bolt into place and provide pivoting attachment points to accept light bar mounts. 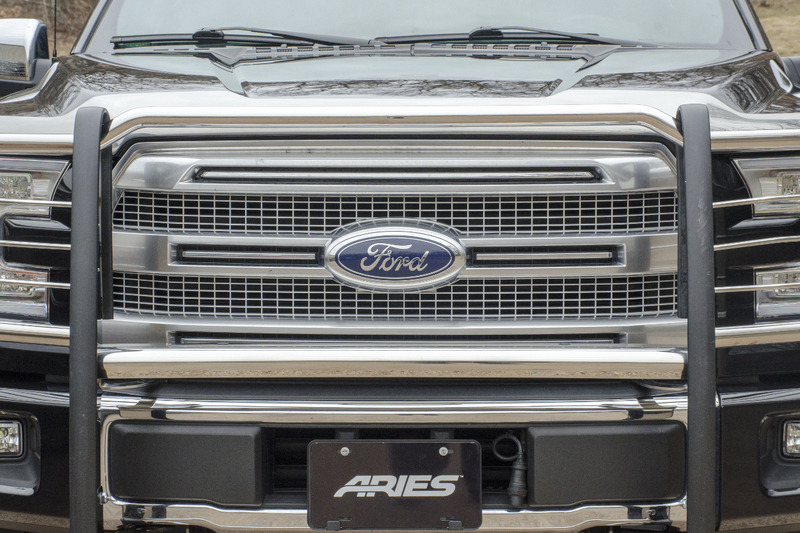 Each ARIES grille guard is engineered for a unique truck, Jeep or SUV. The vertical risers and mounting points are all customized to perfect fit the front end of your vehicle. 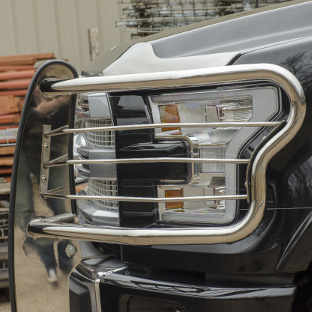 The brush guards of the ARIES grille guard are also unique to each model, framing the headlights for a seamless, original-equipment-style look. 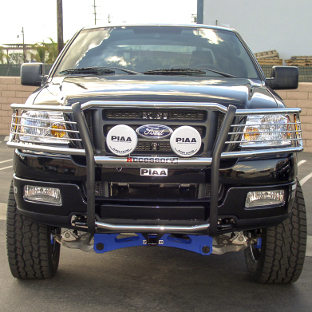 The brush guards help protect the headlights from road debris, branches and other threats, and the headlight cages can be removed for a sleeker look. 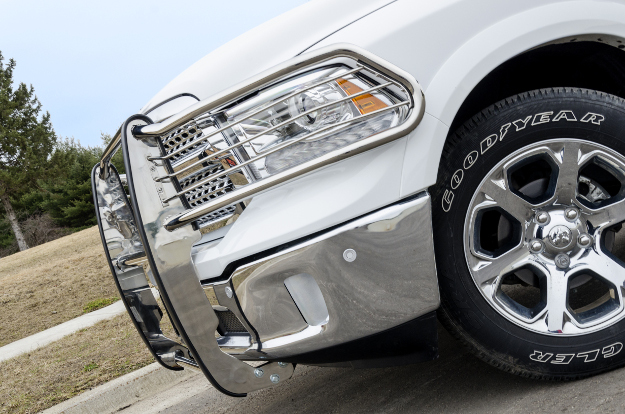 To further help protect the front end of your truck, Jeep or SUV, each ARIES grille guard comes with extruded rubber stripping along the vertical risers. The extruded rubber provides extra scratch and scuff protection for the grille guard finish and is included on both the black and polished stainless options. 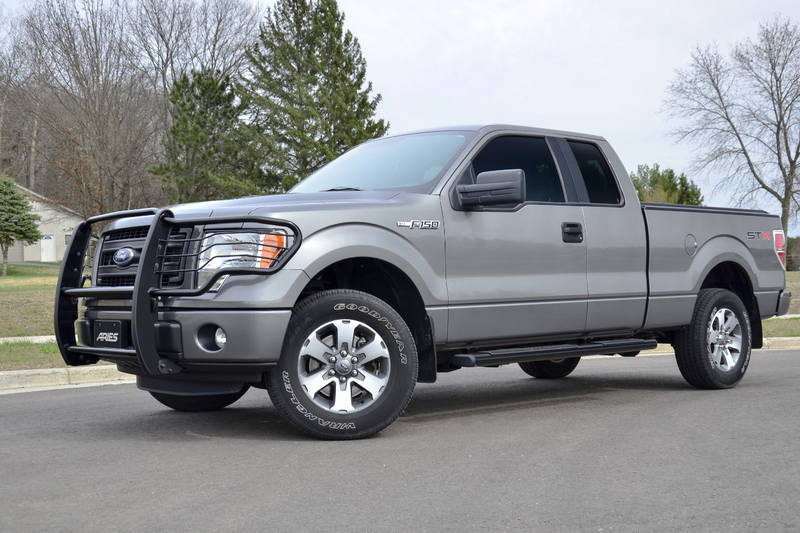 The black rubber stripping also adds a sleek accent, particularly on the polished stainless steel grille guard. 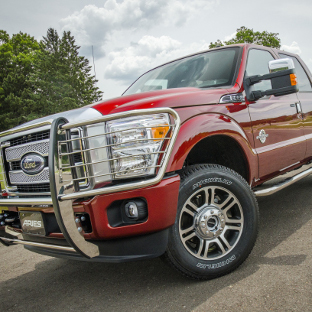 For offroad fun or aggressive customization, the ARIES grille guard offers an exact match for your vehicle. Each one installs on the front end with no drilling required. It utilizes pre-existing factory mounting points on the vehicle's frame to speed up the installation and maximize strength and rigidity. 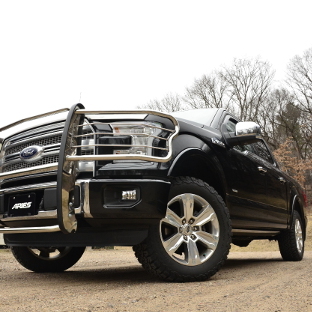 Each ARIES grille guard comes with all necessary mounting hardware for a complete installation.